With internal device storage being taken up by larger operating systems, bloated with tons of proprietary software, the need for a good SD card has really never been higher. Unless you are spending more cash to buy a device with higher storage, investing in an SD card is a good way to store your important pictures, videos and files, allowing you to take them wherever you go. 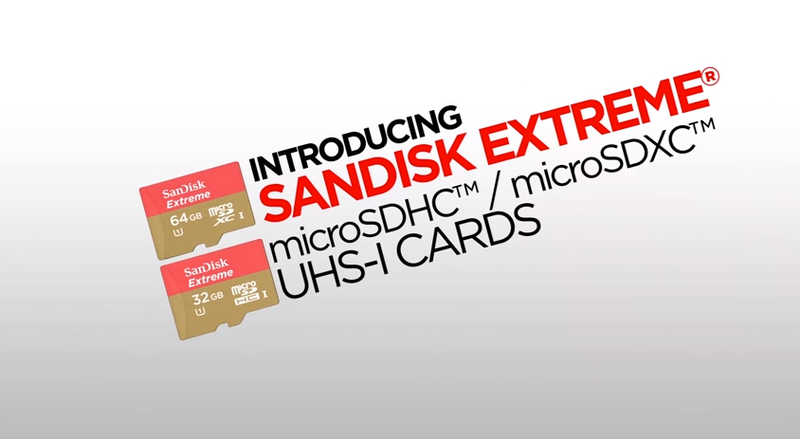 This week, SanDisk announced another line of cards, the Extreme microSDHC UHS-I cards. The UHS stands for Ultra High Speed. The Extreme line isn’t necessarily new, but the the sizes are what should excite some folks. Previously, these were only available in 8 and 16GB options. The new cards come in sizes of 16GB all the way up to 64GB, capable of read speeds of up to 80MBs and write speeds of 50MBs. While the tech specs are impressive all by themselves SanDisk spared little expense in making the Extreme line just that, extreme. The card itself is waterproof for up to 72 hours in 1m of salt water, while also being shockproof and X-Ray proof. SanDisk was kind enough to send us over one of the new Extreme microSD cards, so be on the lookout for a writeup after we spend some time with it putting it through the paces.